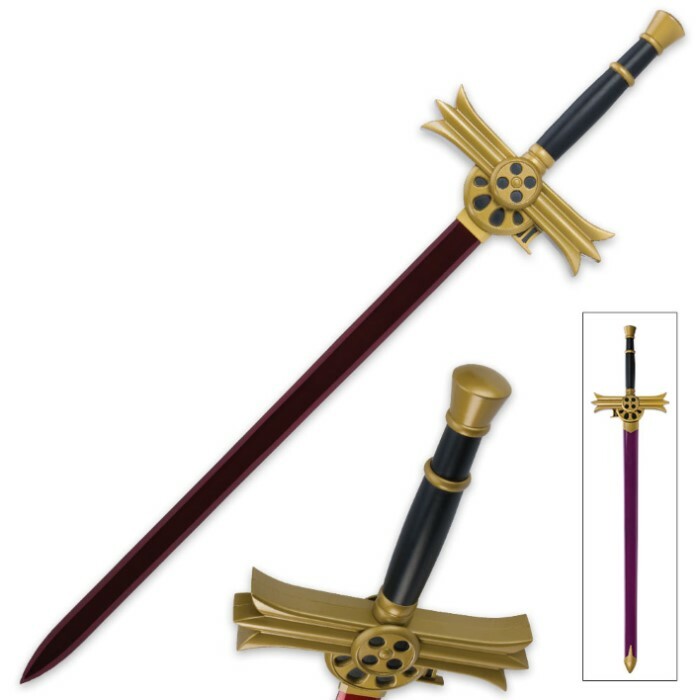 Now you can have Mikaela Hyakuya’s sword in your possession and feel the same power course through your veins as this vampire warrior. This replica from the popular anime and manga series, “The Seraph of the End,” is definitely a must-have for fans! The 26 1/2" blade is a blood-red masterpiece in carbon steel that has a polished, red baked finish. 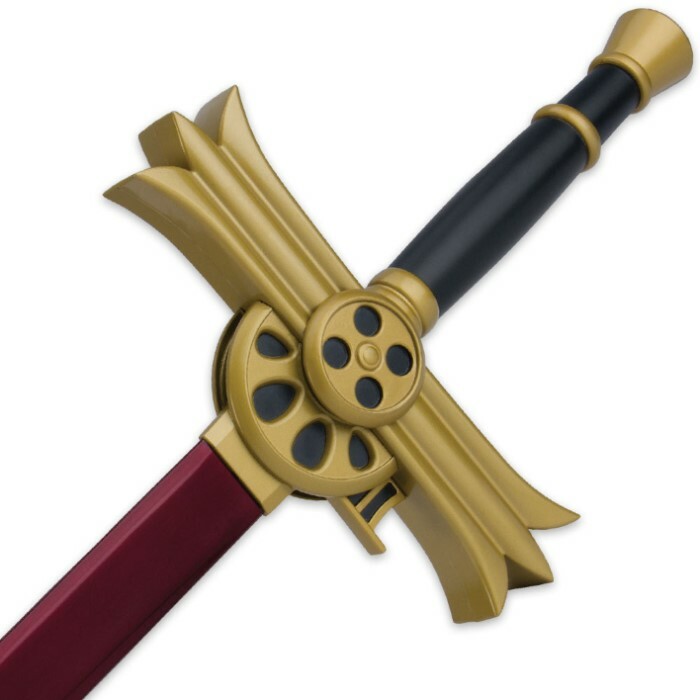 Just hefting it, you can feel the weight of this incredible sword. The handle is painted wood with a gold-colored metal alloy guard and fittings. 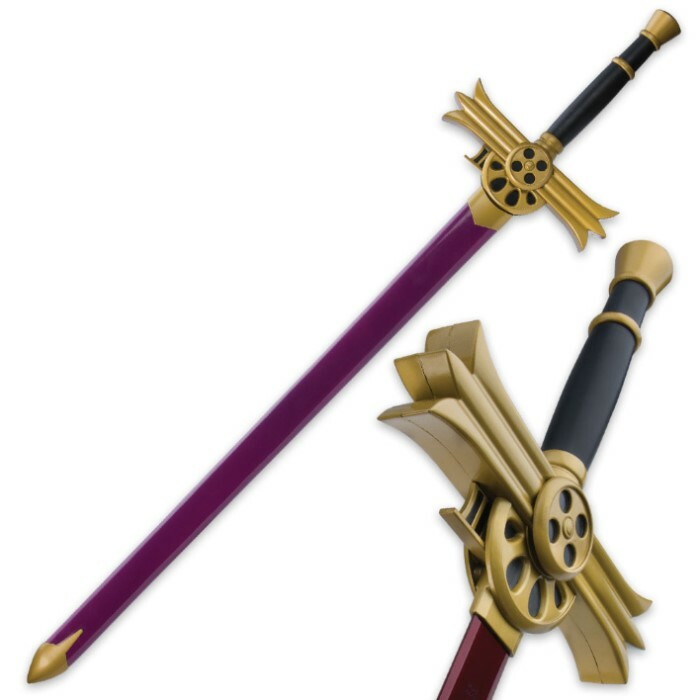 A purple painted wooden sheath completes the package. It is 38 1/2” in overall length.